Our Short and Simple Guide to African Pygmy Hedgehogs as Pets. Hedgehogs in the wild are shy, nocturnal, insectivorous mammals. The closest living animal related to the hedgehog is the shrew. Hedgehogs are more closely related to shrews and moles than rodents like porcupines, rats, mice, or hamsters. Like shrews and moles, hedgehogs have poor eyesight and use a keen sense of smell and hearing to find insects and other prey. Various species of hedgehog are native to Europe, Africa, and Asia, though there are no native species in the Americas, Southeast Asia, or Australia. The species most often kept as pets is the domesticated African pygmy hedgehog, one of the smaller species. 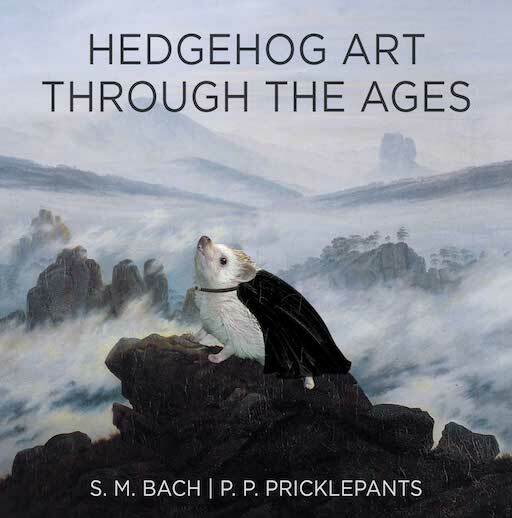 1) Hedgehogs are nocturnal (or, more technically crepuscular). They will sleep through the day, wake in the evening to eat, play, and go about their hedgehog business, sleep some more and be active again for a while the morning, then go back to sleep. They need an exercise wheel, and will run on it at night, making some sound. They eat at night and make crunching noises as the munch their kibble. They also will attempt to burrow and play with whatever materials they have available. A pet hedgehog is going make various noises through the night. 1.5) Do hedgehogs make noise? Hedgehogs don’t vocalize normally (they can vocalize under extreme pain or stress – this is very, very bad). Typically the only sounds you’ll hear from them are sniffing, digging, eating, running on their wheel, and bumping things as they go about their business. With some hedgehogs they’ll vary their sniffing sounds based on their mood which can help understand what they’re thinking. 2) Hedgehogs are an exotic pet with more complicated needs than a typical domesticated pet. They need a mature caretaker. While kids may enjoy playing with a hedgehog, the hedgehog will need a very responsible individual to meet their needs. They need their homes to be regularly cleaned, nails trimmed, food and water replenished daily, bedding cleaned very regularly, heat carefully maintained (esp. during cold periods), need some monitoring to make sure they maintain a healthy weight and are free of mites, and need a vet that has specialized knowledge to be able to treat a hedgehog. If you want a friendly pet, they require a lot of patience and regular attention to socialize them. 2.25) It’s very important to trim your pet hedgehog’s nails. In their natural habitat, they naturally grind down while running, but as domesticated pets their nails will keep growing. Once they reach a certain length they will bother the hedgehog who will be less inclined to walk or exercise on their wheel, and eventually not run on the wheel at all. Clipping them can be challenging since they don’t like having their feet grabbed and easily can pull their legs up into their body if they suspect you have plans to clip. Some owners find their hedgehogs are more relaxed after a bath, making clipping easier, but this is not universal. 2.5) Hedgehogs are the type of pet where some time spent researching and reading up before getting one as a pet pays off. Knowing what your habitat will need, and having that set up before bringing your hedgie home will make life easier for everyone. 3) Hedgehogs are covered in sharp quills. When a hedgehog is happy their quills will be relaxed, will lay flat, and they can be touched and held without getting poked. Unlike porcupine quills, they aren’t barbed and do not normally come loose. When they are upset they will quill up, pointing their quills out and bracing their quills against each other to form a sharp prickly ball. While this is very unlikely to draw blood (unless you are really careless), they do form spiky balls. You can safely scoop them up and if they are socialized they will relax, but part of owning a hedgehog is getting poked sometimes. The biggest quill risk is accidentally stepping on a shed quill. 4) Hedgehogs are typically fed cat food. We don’t really know exactly what a wild African pygmy hedgehog eats in the wild. Cat food seems to be a fair approximation. There are many types and research should be done into what are better types. Hedgehogs can be very picky eaters who might reject a food for mysterious reasons. Some hedgehogs will eat crickets or mealworms, or sometimes freshly cooked scrambled egg. Ours only eats some types of cat food. 5) It’s best to get a hedgehog from a breeder who hand raises their animals and holds them daily. 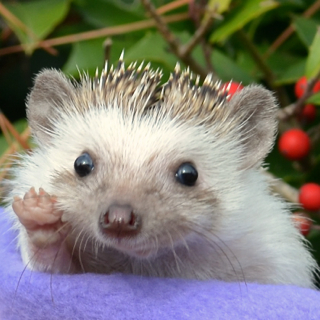 Hedgehogs need socialization to be good pets. If they are not socialized when you go to pick them up they will quill up, hiss, and pop, and will not calm down. They also can bite. If they are socialized they might still quill up, hiss, or sometimes pop, but they will relax when they smell your hands and will be friendly. A breeder should be able to give you a pedigree. This is important. There is a genetic disease called Wobbly Hedgehog Syndrome that can afflict pet hedgehogs. Animals that have this disease will suffer neurological degeneration and die fairly young, so responsible breeders will keep track of their animals to make sure that carriers of WHS aren’t bred. Getting a hedgehog from a pet store or classified ad might turn out fine, but without a good pedigree you will live with the risk of wobbly hedgehog syndrome. You also might need to work harder to build up trust with your pet. If you get a female you also have some greater risk that they are pregnant, which can be very difficult to deal with and is not something any new owner would enjoy dealing with. We got our hedgehog from Janda Exotics. Ashley was great to work with and an excellent breeder, our hedgehog was healthy and very well socialized when we got her. 6) Hedgehogs need to live in a controlled temperature range with a controlled photoperiod. If hedgehogs get too cold (below 70 degrees) they may attempt to hibernate. Since pet hedgehogs do not build up the needed fat stores that they would in nature before hibernating, this can be fatal. 7) Young hedgehogs produce ridiculous amounts of poop and pee, often at inconvenient times. Hedgehog poop is brown, smelly, squishy stuff – it’s more in line with cat poop than rabbit pellets. This makes sense, since they eat cat food. As they get older they will get more control over these things, and some hedgies can be litter trained. Not all hedgies can be litter trained. 8) Hedgehogs are not the brightest animals on the planet. They will play in limited ways (tubing, maybe tug-of-war, hiding things for them to find, burrowing around in various materials), but are very unlikely to learn to respond to their name, or to learn tricks. They also have poor eyesight and can walk off the edges of tables or furniture if not watched. This is just a short list to help set expectations and not anything like a complete guide. We don’t find any of these to be particularly serious issues, but they are things to keep in mind if considering getting a hedgehog as a pet so you will have realistic expectations about what you’re getting into. Have questions or comments about hedgehogs, manners, grace, delightfulness, space travel, pirate adventures, founding a startup, grammar, etc? Contact us at theprincess [at] princesspricklepants.com. West Coast Hedgehogs “Pet African Hedgehogs – A Complete Guide to Care” electronic book was by far the most valuable resource we have found on the web. This book covers the aspects of keeping a pet hedgehog that a new owner most needs to know, and gives a very accurate and reliable account. Hedgehog Central – This website has a lot of information, a wiki, a list of breeders by state, and has the most active hedgehog web forum out there to ask questions. 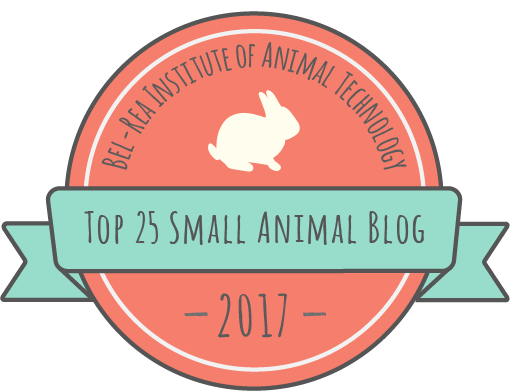 If you want to learn about them, are worried about your hedgehog’s behavior, want to find out about color or other aspects, or just want to show off pictures of your adorable little one, this is a great place to go. Carolina Storm Hedgehogs – These folks make a “bucket wheel” which is a quiet exercise wheel designed to be safe for hedgehogs paws and backs and also easy to clean. They also run photo contests throughout the year that are a lot of fun. Full disclaimer, we entered the 2013 contest and won (whoo!). You have seriously provided me with the nicest information that i was looking for. I am researching and trying to classify animals that come under rodents and under non-rodents.Very Interestingly, hedgehogs don’t fall under the category of rodents. I was wondering if you could provide me with the same detailed information about squirrels like you provided me with this hedgehog. I visited Squirrel Guide but i guess it just wasn’t enough. Thanks !! Keep up the good work!! Everyone today seemed to think having a hedgehog in California was illegal, I think they might have them confused with ferrets. Anyways, I don’t think anyone in the room is responsible enough to have a hedgehog, including me. We can just look at pictures of P.P. Pricklepants.